WXnation.com strives to deliver as many relevant and updated local weather and live webcam resources as possible in easy-to-navigate pages. Remember us when looking for a weather forecast or current conditions via an online weather provider or local station. We also help you monitor severe storms through weather radars and loops, and keep you out of "jams" with traffic cam images and the latest road conditions. Live streaming webcams offer scenic views, from beaches and mountains to your city's skyline. 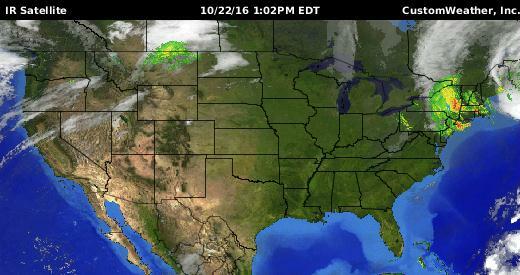 Some TV stations even offer streaming weather radars. Explore these and almost all U.S. outdoor streaming cams in our Super Sites page. WXnation.com is also useful for checking airport delays, weather warnings and watches, floods, or plotting hurricanes on the Net. Our National/International page provides you with weather news, nationwide weather forecasts and maps, and resources for: tornado, hurricane, earthquake, lightning data, travel forecast, photo gallery, space/sky and much more. Also, visit live webcams and a live weather station from WXnation's headquarters in Fort Worth, Texas. Additionally, you can see which city pages have received the most visits and the biggest weather events over the past three years. All URLs on this site are checked regularly to make sure as many as possible work. Add us to your favorites list or make us your homepage, and feel free to e-mail us. More about the site is in our About Us page.